Nata Kireeti Dr. Rajendra Prasad is all set to entertain the audience along with Master Bharath in a new film that has been titled ‘Cinemakeldam Randi’. 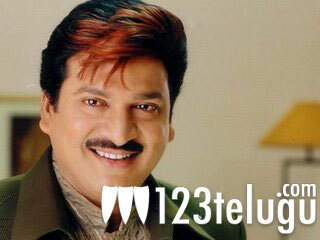 The movie is a comedy entertainer that is being directed by M.G Reddy. P.Sunitha and N. Seetha are the producers. The movie has Dr. Rajendra Prasad in a hilarious role and he will be supported by Ravi Babu, M.S.Narayana, Master Bharath, Rajeev Kanakala and Nagineedu. The movie is currently being filmed in and around Hyderabad and shooting is almost complete. Sravan has composed the music. The movie will release in the month of February.